More astonishing than the fact that Peel P 50s are actual street-legal automobiles, as opposed to go-karts, is that they were mass-produced. The Isle of Man's Peel Engineering Company manufactured them from 1962 to 1965, marketing them as city cars able to accommodate "one adult and a shopping bag." At 54 inches long, 39 wide and 39 tall, the Peel P 50 ranks as the smallest production car of all time. But it's hardly an outlier, particularly among cars produced in the late 1950s and early ’60s. 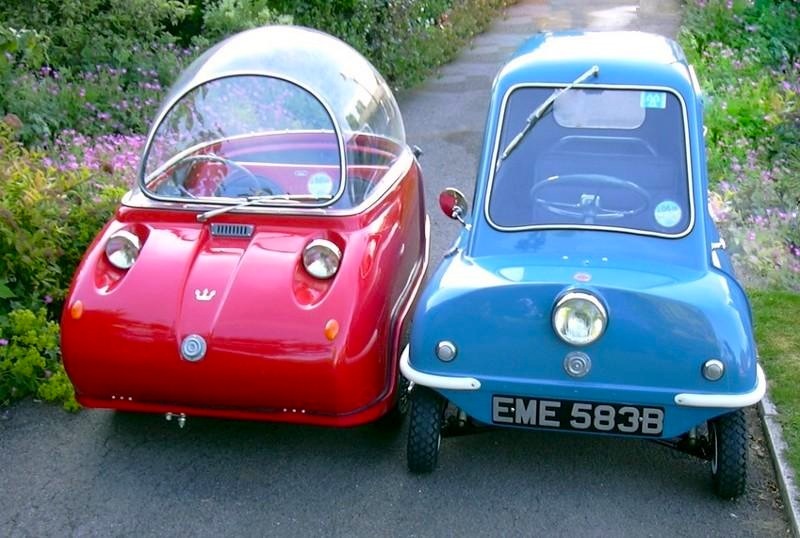 Below are some photos of Peels and other microcars, with links to more legitimate sources of information. BMW's Isetta, the top-selling single-cylinder car in the world—161,728 units sold in '55. Still around, they get 90 mpg.